Apple's investments in Siri and artificial intelligence will grow in the coming months, Chief Executive Tim Cook revealed in a new interview, disclosing that his company's Yokohama, Japan, facility will boast "deep engineering" for machine learning. "I cannot tell you the specifics. The specific work is very different," Cook teased in an interview with Nikkei. Cook went on to say that he sees Apple's AI tech "running across all products" and "in ways most people don't even think about." Specific advantages he cited include improving battery life, recommending music, and remembering where you parked your car. Of course, those are all tasks that Apple's platforms, including Siri, already do in their current state. While their is certainly room for improvement on how well Apple's AI handles those tasks, the comments from Cook imply that the Yokohama facility will help the company push its research in new and different directions. 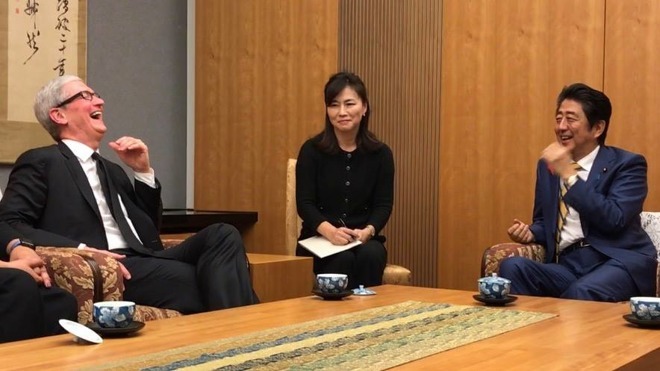 The interview is Cook's latest stop on his tour of Asia, which also saw him meet with executives from Nintendo, as well as the prime minister of Japan. Cook also visited China, where he announced his company will open a separate R&D center in Shenzhen in 2017. Apple's Yokohama, Japan, center, meanwhile, will be completed this December, with Cook vowing to use its local presence to forge partnerships with Japanese companies.